Welcome to the Rolloways Pro Skating Shop. We at Rolloways have a skating pro shop on our premises in the Rolloways Leisure Centre located at 12/352 South Street, O’Connor, WA 6163. Come on down during session times to visit our skate store and please browse through the skate catalogue available online and/or send us an inquiry if you have any questions, or would like to place a specific order. 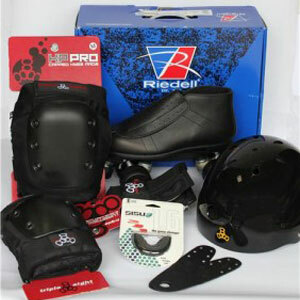 Priced at Only $519 for the full Pro Skate package.